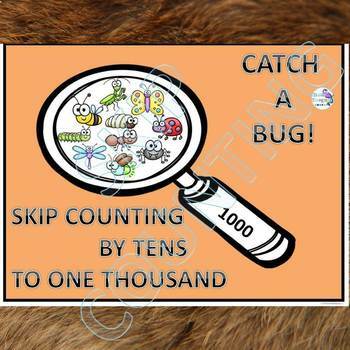 Skip Counting by Tens to 1,000 Catch a Bug! 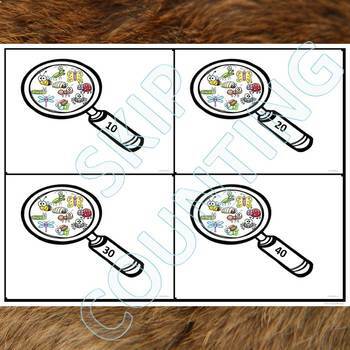 There are cute, ten little bugs under a magnifying glass for each count of ten. Each magnify glass is one count of ten. These one hundred flash cards take the skip count of ten to one thousand. Punch a hole in the cards and place on ring binder clip that will keep cards in order and easy to flip.